LIAM MAHINA orange striped jute canvas pouch from the Banana Moon summer 2018 collection. This pouch has room for all your personal things, like your keys, smartphone and other bits and bobs that you need on the beach or around town. This 100% jute canvas pouch fastens with a zip trimmed with coloured pompoms and is fully lined in beige. This LIAM MAHINA jute canvas pouch has an inside pocket. 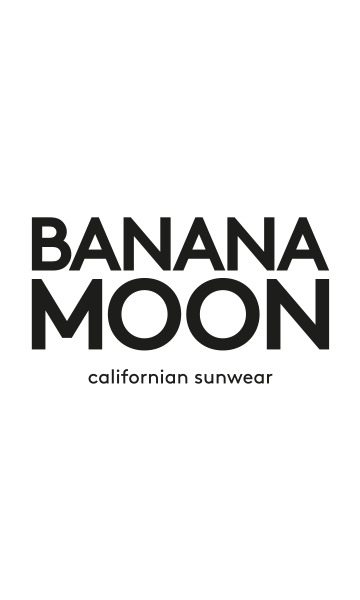 A fuchsia screen-print features on one side: 'Banana Moon, Californian sunwear'. The LIAM MAHINA orange striped 100% jute canvas pouch is the perfect match for the LUNIA MAHINA beach bag. This pouch is also available in khaki.